It’s only natural to want to keep the exterior condition of our cars like new. 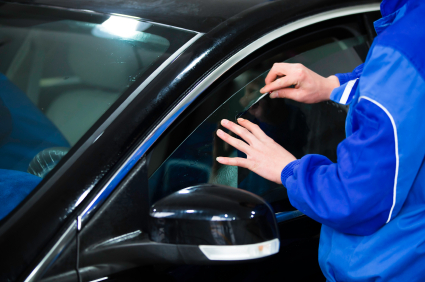 Unfortunately with time, small dents and dings can occur and detract from the overall appearance of your car. Here a few tips to help you prevent dents from occurring. Many dents occur as a result of carelessness of others in public areas such as shopping and parking lots. An accident push of a shopping cart can result in a small ding. Dents can also occur when cars are parked together closely; the other party can accidentally hit the side of your vehicle with their door as they are trying to squeeze out. Parking away from other cars may seem like an inconvenience but it’s one of the best ways to avoid accidents like these from occuring. Another option is to parallel park whenever possible. Parallel parking decreases the chances of the occupants of the vehicle next to you hitting your vehicle’s sides with their doors and belongings. 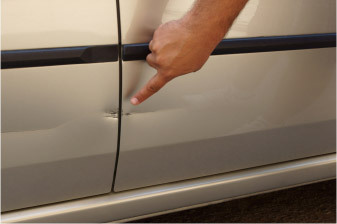 Dents can also occur when you’re in a hurry to get out of your car and accidentally hit an object with the door. It’s advisable to always look first before opening the door and opening it slowly in order to avoid an unexpected ding. If you or your passengers have any personal belongings with metals or chains such as a purse with a chain etc these can also cause damage to the vehicle every time you step in and out of the car. Be aware of items such as bags with embellishments brushing up against the side of your car. Contact us if you have any questions about dent and ding repair services in the San Diego area.